ASTER* is a group of sharp designers, programmers and problem solvers who specialize in helping online retailers create a better storefront and customer experience. We like working with people who create products (like coffee, graphic-tees, sculptures and home accessories) and then want to sell them online, without compromising their brand and messaging. Because we typically rebuild the company's presence from the ground up, we have an intuitive knowledge that can deliver the unconventional ideas and concepts that make the intended impact while staying focused on the smaller steps needed to make it happen. We believe that there are many ways to grow your business within a limited budget. Our client list isn't full of larger companies. We like to dream big with companies who are small, finding affordable tools to communicate to your market. 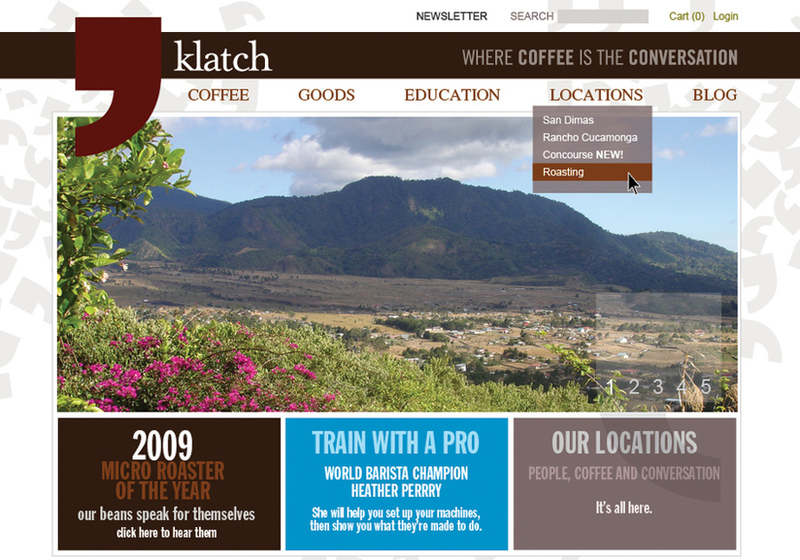 We redesigned klatch coffee's website as part of an overall rebranding campaign. After launching the website, the company immediately saw an increase in sales, making a return on their branding and website investment in the first three months. ASTER* works with online retailers through branding, website design and packaging with a focus on informed design through strategy (a.k.a. we like to design things that work and look pretty... not just look pretty).